Imagine an Alladin’s cave within a cornucopia fed by a horn of plenty. 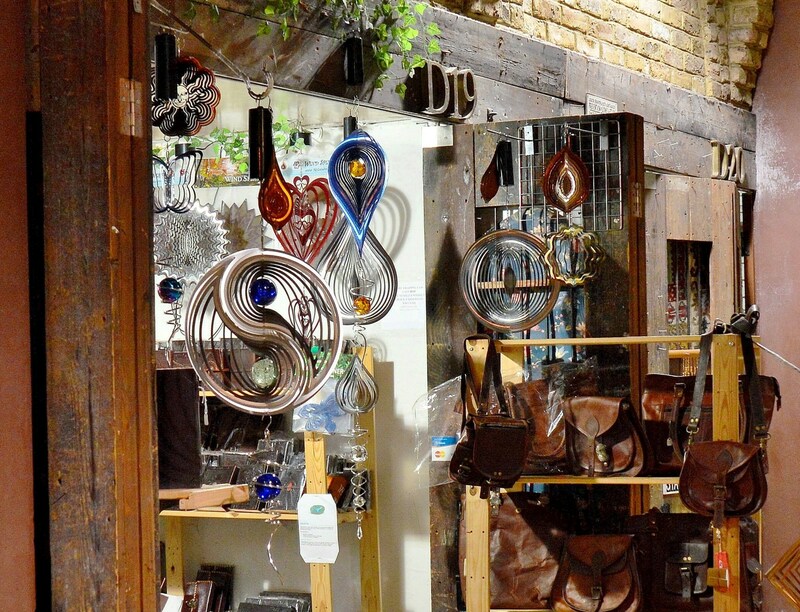 In the Camden Markets one can find eatables, wearables, carryables, sparklies, wall and ceiling hangables, film cameras and magical hidden caves of delight. 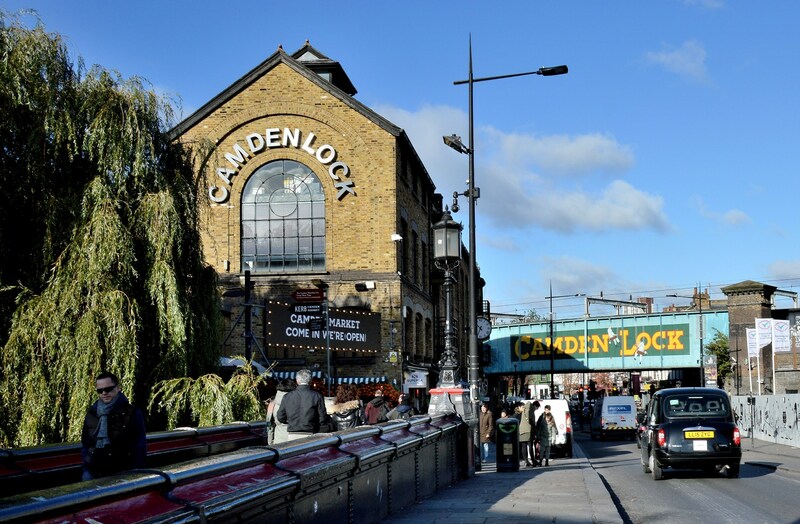 If you intend any serious shopping then print a large Google map of the market area north of Camden Lock and another south of the lock. That way you can retrace your steps to the best bargains. 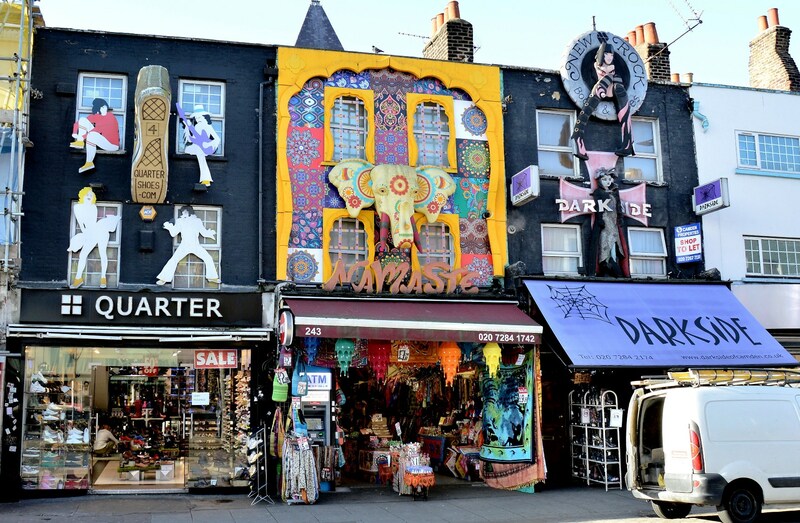 There are some overpriced items and Camden is very busy at the weekends so buyer beware. On the other hand there are some unique craft items. 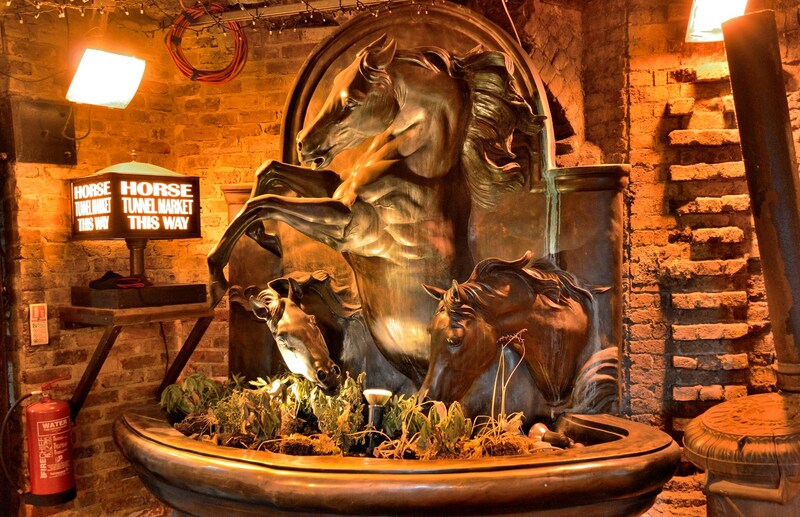 To get there use London Underground Rail to Camden Town on the Northern Line. There are two exits. 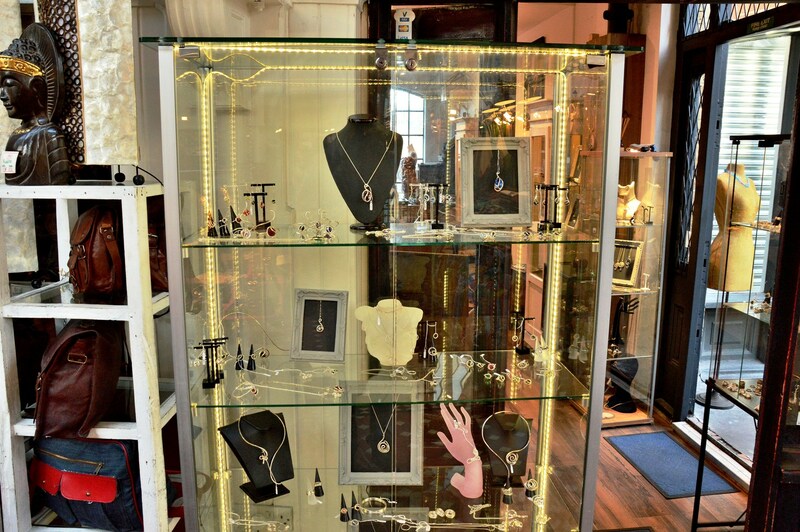 Use the one onto Camden High St and walk up the road with the main intersection at your back. 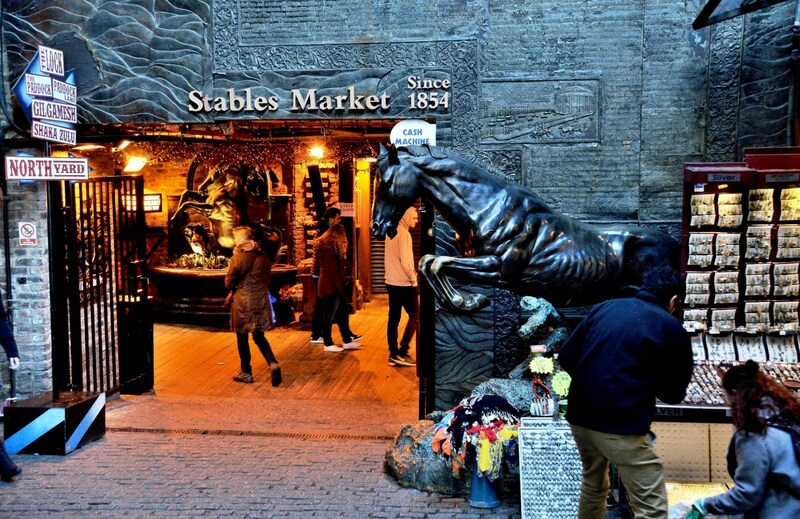 Camden Market is the smallest of the markets but is a bit bigger then it looks. 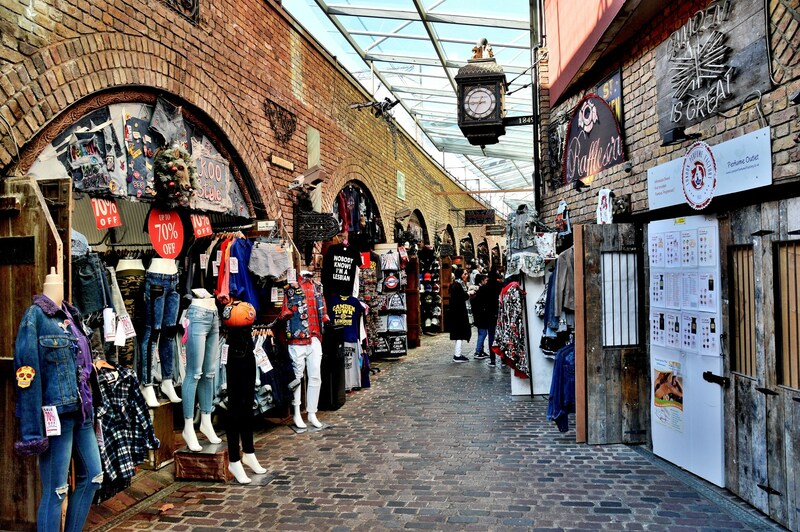 Camden Lock Market is a lot bigger than it looks. 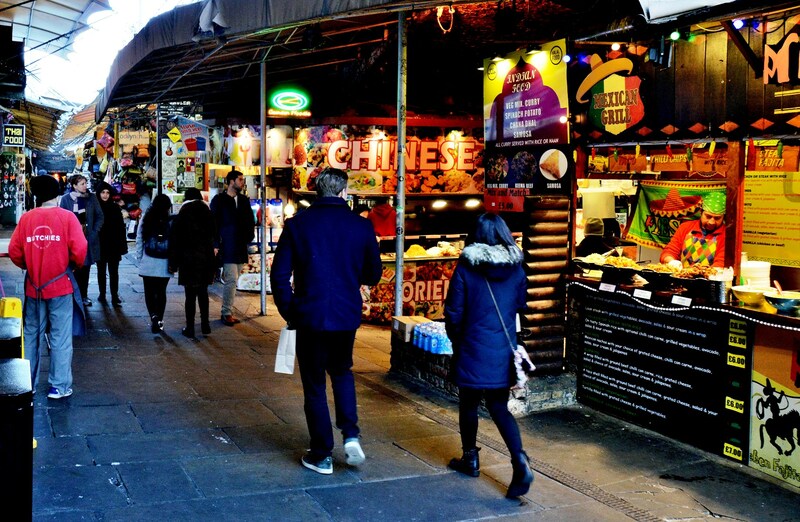 The building on the right is the famous Dingwalls ⇒ music venue and the Comedy Loft ⇒. 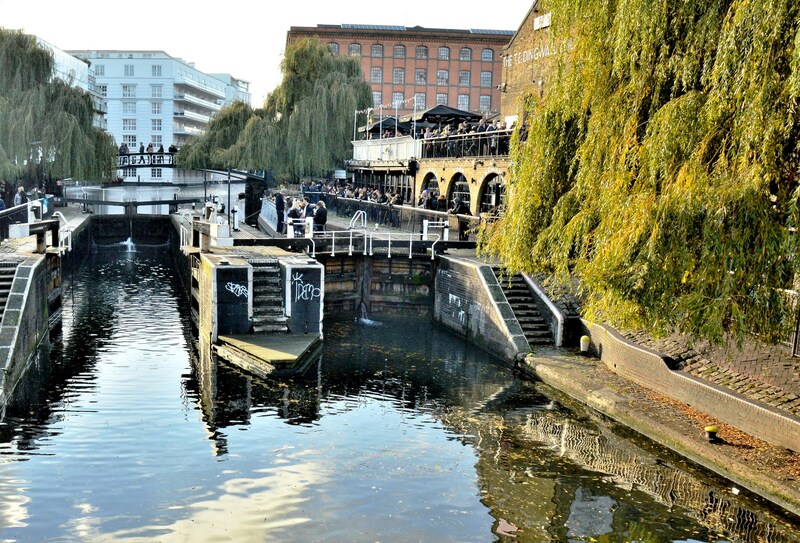 A little further on from the lock is the stop for the London Waterbus ⇐ to Little Venice. 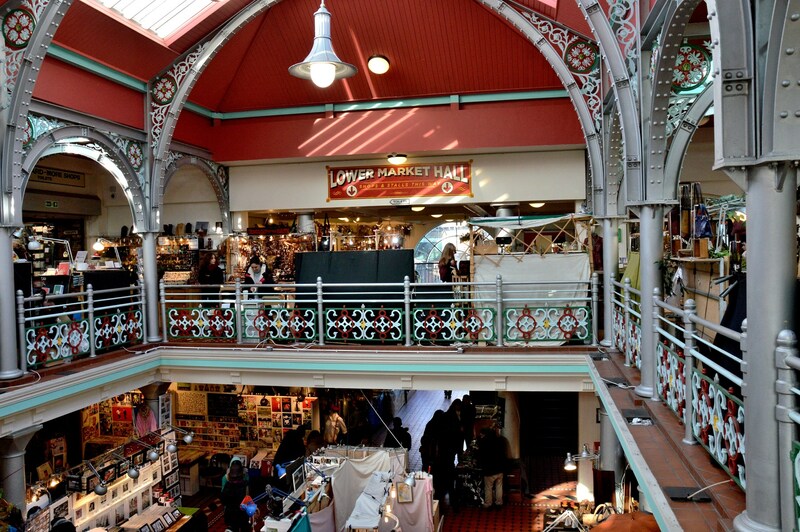 The market halls are quite fascinating and lead down to the canal side with a number of eateries. 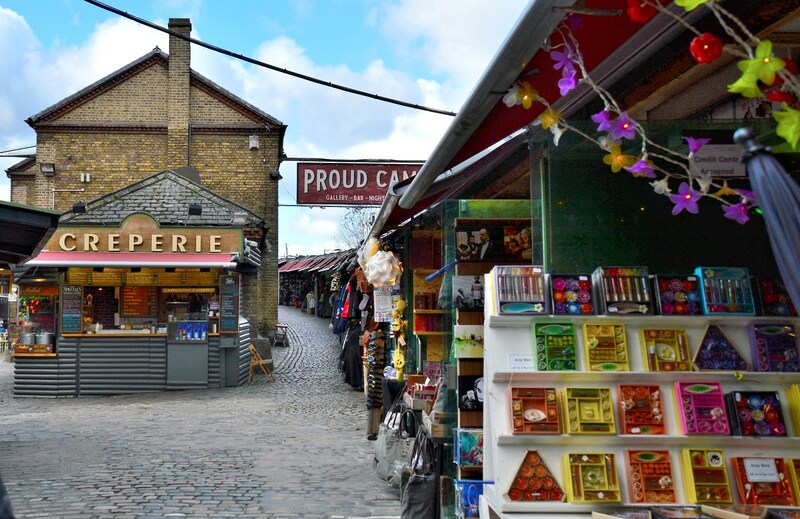 On the side away from canal is Camden Lock Place and another market area. 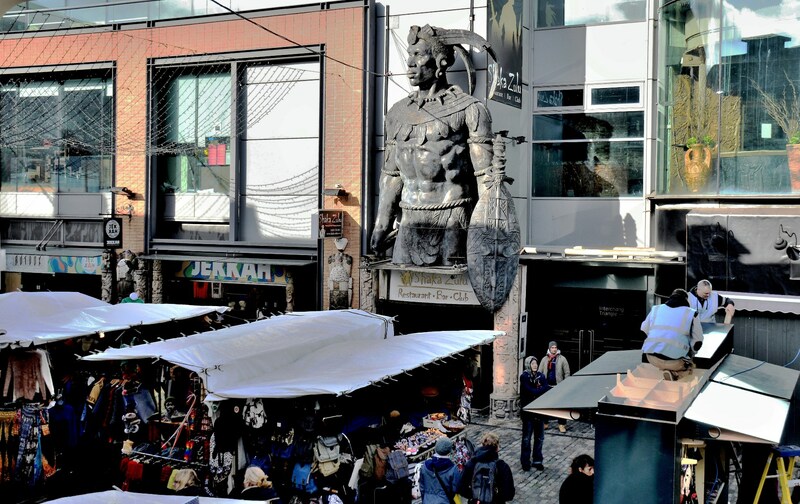 Turn right at the sight of Shaka Zulu and you will come back to the High Street. 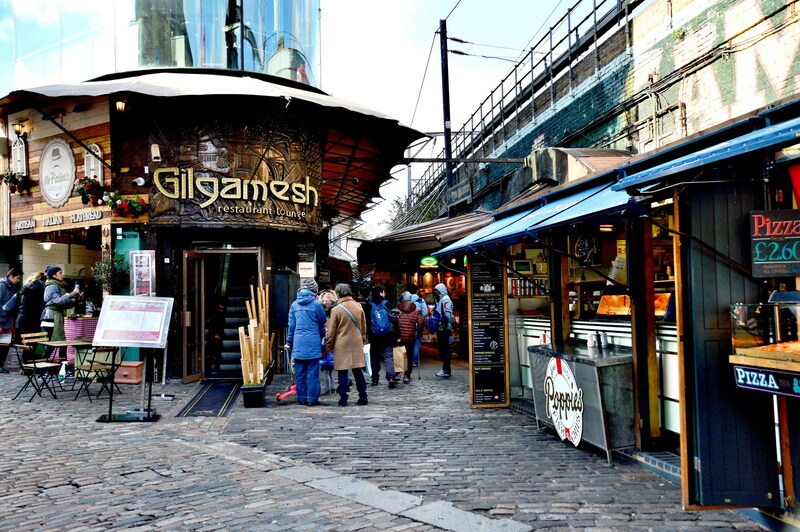 This picture is with the High Street at my back and you will find Gilgamesh on your Google map. Don’t go back onto the High Street but venture down the little alley on the right of the picture. 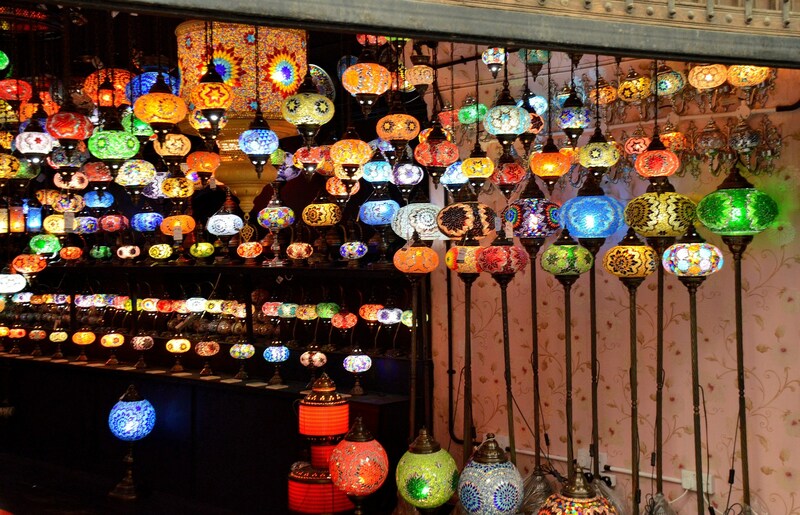 The first thing that strikes one is a magic carpet of spiced aromas from all over the world. I got the impression that if I stayed too long I would be forever mesmerized and never leave. 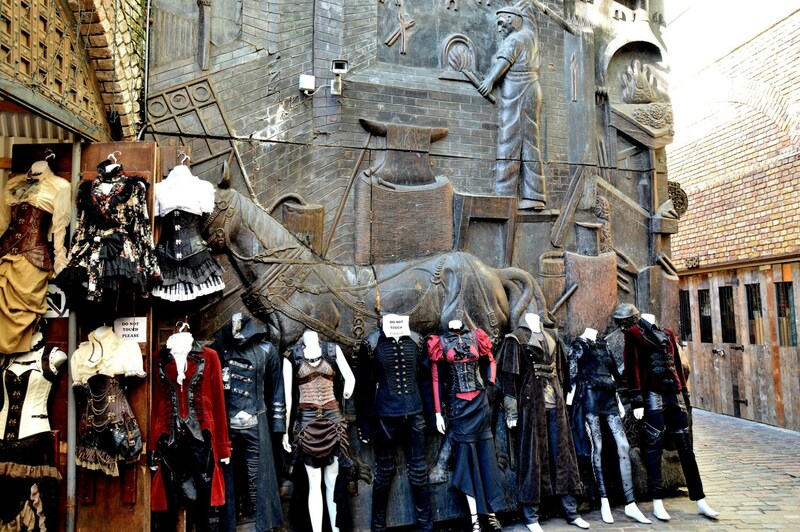 But, if you continue then there is an Alladin’s cave with many side alleys to watch out for. 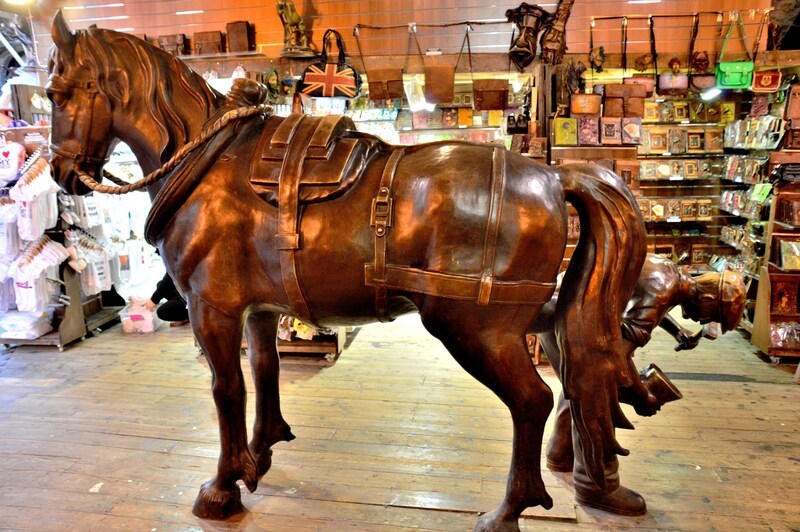 Camden Lock and the Regents Canal are part of a huge canal network stretching across Britain and the lock once provided stables and a hospital for the barge horses. 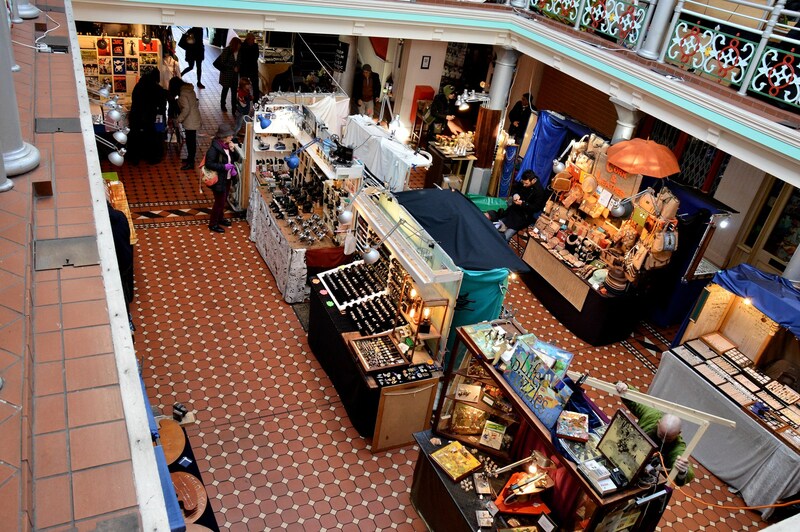 Hidden away, it is one of largest markets in Camden with a plethora of arts, crafts and fashion. I can only show a small part of it. If you can find your way out, passing this sign, then there is yet another market area curving away into the distance but eventually returning to the canal. 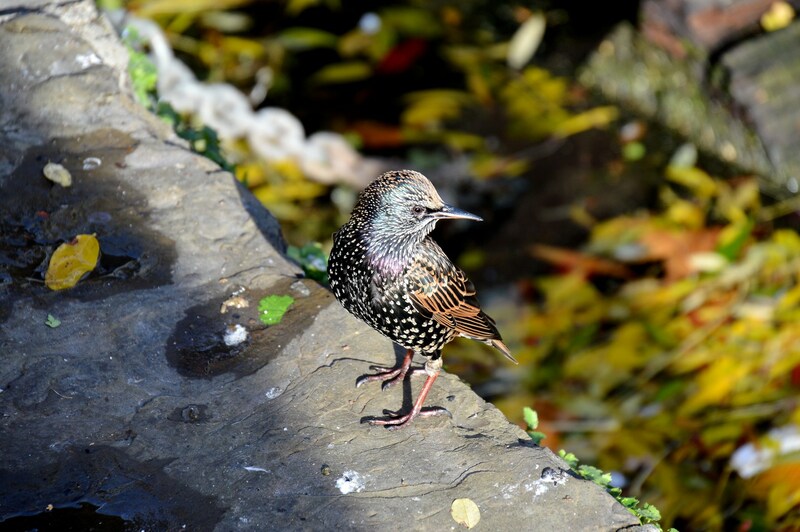 Returning to the canal one might take a coffee and watch some of the little wizards taking a bath. Then there is eating and drinking and making merry or the Dingwalls ⇒ music venue or the Comedy Loft ⇒ or a short walk up the road to The Roundhouse Theatre ⇒ at Chalk farm (where you booked a ticket) or, earlier in the day, the London Waterbus ⇐ to Little Venice and the Puppet Theatre Barge⇒ (October to July) . This entry was posted on November 30, 2016 by Graham in Hats. 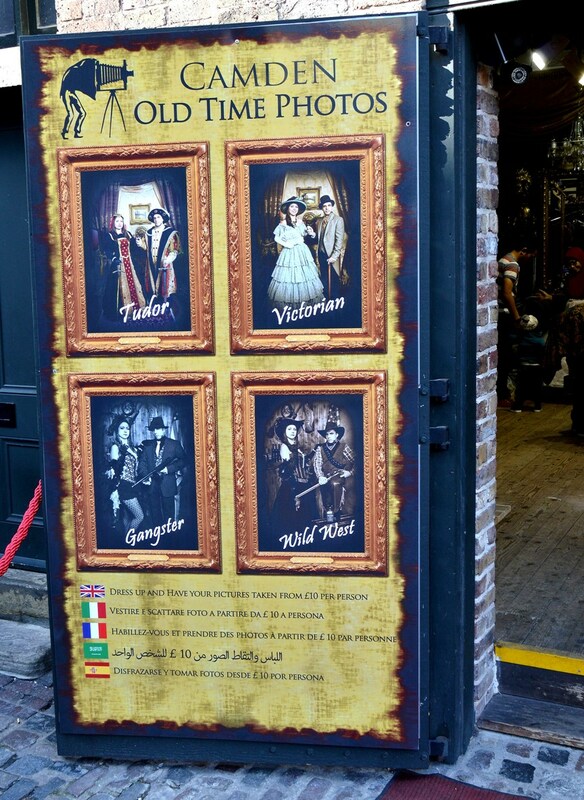 It was filed under North London, Photography, places to photograph in london, Places to Visit, Travel, uk and was tagged with camden, camden lock, canal, cloths, horse tunnel market, london markets, shopping, stables market. A true maze for shopping! That first photo – wow! the center Namaste building all but made me step into the computer screen! Loved the tour! Your photos and descriptions are always informative.